يضمن فندق Governors Lodge Resort Hotel الذي رمم في 2005 لزائريه قضاء وقت ممتع في جزيرة نورفولك، سواء جاؤوا في رحلة عمل أو سياحة. يقع مركز المدينة على بعد 0.5 km فقط. ويمكن الوصول إلى المطار خلال 2 دقيقة. يشكل هذا الفندق ملاذاَ مريحاً للاسترخاء ويمنح زواره فرصة للاستجمام والتجدد، وهو يقع على بعد خطوات من المعالم السياحية الكثيرة للمدينة كمثل: Reflections of Norfolk Island, Diamonds Exclusive, ‪Fletcher's Mutiny Cyclorama‬. كما يقدم Governors Lodge Resort Hotel الكثير من الخدمات لإغناء رحلتك في جزيرة نورفولك. هذه بعض الخدمات الموجودة في هذا الفندق: خدمة التنظيف يوميًا, متجر هدايا/تذكارات, خدمات بريدية, مجهز لذوي الإحتياجات الخاصة, مرافق مخصصة لذوي الاحتياجات الخاصة. تعكس غرف الفندق البالغ عددها 55 المنتشرة في 1 طوابق جواً من الدفء والألفة.خدمات عصرية مثل تلفزيون بشاشة مسطحة, سجاد, قهوة فورية مجانية, شاي مجاني, بطانية كهربائية موجودة في بعض الغرف المختارة. كما أن مجموعة الخدمات الواسعة الموجودة في الفندق لضمان راحتك تترك لك الكثير من الخيارات لقضاء وقتك أثناء فترة إقامتك. إن Governors Lodge Resort Hotel هو مكان مثالي للمسافرين الذين يتطلعون إلى الراحة والاستجمام في جزيرة نورفولك. 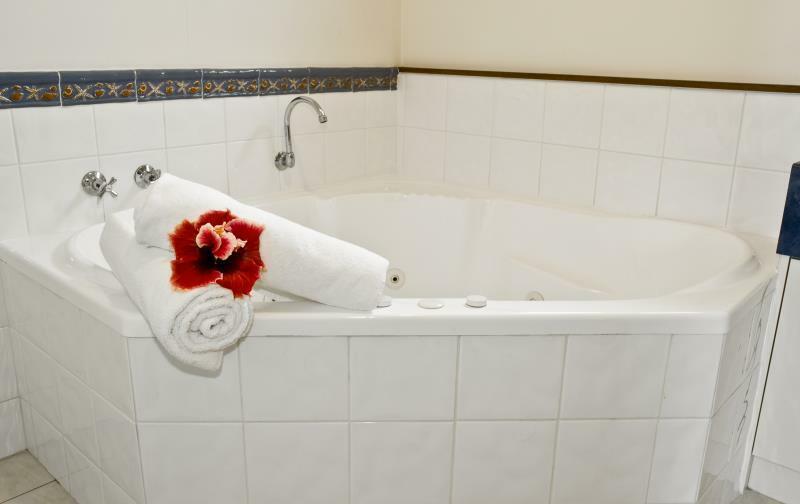 The staff were amazing - friendly, helpful and courteous. Bungalows were private and comfortable. I thoroughly enjoyed my stay at the Governor's Lodge Hotel. From checking in, as I have very limited mobility, the staff were helpful and friendly, assisting with my suitcase and other special requirements. 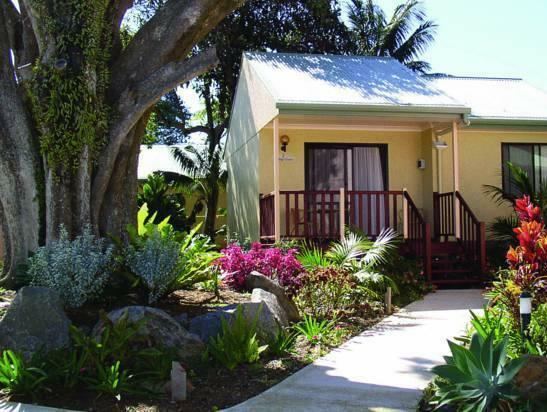 The room was in fact a complete one bedroom apartment set apart from the other bungalows with ramp access, The bathroom was specifically set up for a disabled person. There was also a kitchenette with tea and coffee and milk supplied and a microwave oven and refrigerator. Perfect for a self-help stay although the food in the Bailey's Restaurant was outstanding. I also had the special Xmas lunch which consisted of lots of delicious seafood as well as salads and roasts with a varied selection of desserts. The restaurant closed for the next three nights which wasn't a problem as I had arranged my dinner tours for those nights and the Cafe was open for lunches and breakfast. A car is a necessity if you want to see the Island in your own time but for a rest and recuperation after illness it was quiet and peaceful and I would very much like to return for a longer stay. Only stayed for 1 night, but will definitely return when I next do business on the island. We only had a short stay in which we found the staff to be friendly and helpful. The apartments (free-standing cabins) are well spaced out and the grounds are pleasant to be in. It has a popular restaurant and cafe and a pleasant outdoor bar area. One other nice restaurant (Hilli's) is close by. 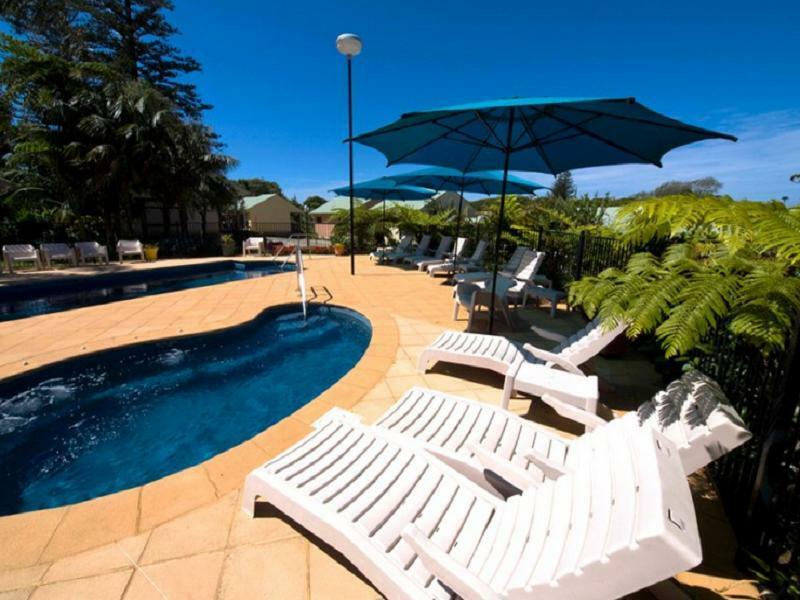 Ideal for a short stay on Norfolk Island.